Singer & song-writer, Samantha James. Speaking of origins, there's no doubt everything comes from inside. Inside what? Inside a heart, inside a mind, inside a soul or inside anything that has the power to create and transform a world. Being the deepest corners of the mind still a mystery, THE MALE MODEL MUSIC PROJECT talked to Samantha James, singer and song-writer based in Los Angeles, California, on the recent release of her album "Subconscious", just after a pause since her debut album "Rise". Packed with smooth sounds and thoughtful lyrics, "Subconscious" proves that there's nothing more powerful than anything that comes from the core of the heart. What is "Subconscious"? How the idea of this title for the album came up? Samantha: Well, the Webster Dictionary states that the Subconscious mind is : "existing in the mind but not immediately available to consciousness ". To me, the subconscious mind is the mental activity just below the threshold of consciousness. The title of this album came up for me because I had been going through a lot during the course of writing this record . I almost felt as if it was on a "Subconscious" level that I was even able to access the words/emotions that I did to write the album. You have evolved as a songwriter and as an artist. How was this evolution since "Rise" back in 2006 to "Subconscious" ? Samantha: Well, we are all evolving as human beings ... song-writer or not on a daily basis. My songs and song-writing evolved as I started to evolve and experience new things in my life. The evolution since Rise back in 2006 was intense ! I would think that the evolution that you can see would be obviously in my lyrics and these different experiences that I had. How was your experience working with Sebastian Arocha Morton and new comer Shane Drasin? Samantha: Working with both of them was quite interesting to say the least .With Sebastian cool, but different being that he was no longer just my producer but now brother- in-law. This obviously changes the dynamic of things . None the less it was great to work with him on a musical level because he's just so talented. I was lucky, I guess you could say that he was able to fit me into his schedule being that he was so busy working on different projects. Working with Shane on the other hand, was also interesting being that he randomly popped into my life just as Sebastian became too busy. It is really amazing how God/the Universe work to always put the right people in your path when you need them. Shane and I hadn't seen each-other since junior high... Hooked up and just started writing really beautiful songs. I was so relieved being that I didn't have my Sebastian.There really is so much talent out there and for a long time I felt as if I wouldn't be able to find that chemistry that I had found with Sebastian , with Anyone else. But I did ! Samantha and producer Sebastian Arocha Morton in the studio working on "Subconscious". How would you describe the sounds of "Subconscious" in 3 words? Samantha:Ummmmm , Deep, Emotional, Real. What about the lyrics in "Subconscious"? What do they talk about? How can your fans and people relate to them? My fans and people can relate to my songs because the words are honest and real ... yet at the same time regardless of the experience that I might have been having during the writing process. I always leave my songs open to interpretation. Do you have any personal songs in this new album? I have listened to the album and I noticed that in "Tonight", there's someone performing with you. Please tell us about it. Samantha: Of course .His name is JB Eckl.... Super talented artist/songwriter. It was an honor to work with him. Some reviews describe your new album as " a balance between electronic and organic"? What do you think of this statement? What is the importance of this balance in your sounds ? Samantha: I think that this is a very accurate statement . The importance of this balane in my sounds is that as much as I love electronic music. I am a soulful jazzy girl at heart. It's important to me because I think that if you just go straight electronic you loose the foundation on which music was started . We didn't have computers back in the day and not that I don't love what technology has done for us on a musical scale. I just believe hearing a live guitar, rhodes, moog, and even drum sounds are essential. You would like to travel and explore. What sounds, genres or even emotions are there left to explore? Samantha: I would like to explore whatever my journey has in store for me next. "Waves of Change". Our world is going through many changes in many aspects. What do you think of these changes and how are they affecting us and changing us? Samantha: I think that they only affect us as much as we allow them to . They change us only if we are open to change. Our world that we live in today is simply just the evolution of certain peoples levels of consciousness. We all have the power to choose. What is you message and advice to young artists and performers? Samantha: Never stop. The music business and the world that we live in today is a very different place, in comparison to when the music business started. Try to be strong but yet vulnerable at the same time... I say this because as things are changing so rapidly. You have to be able to change as well. I say, be tough/strong because this musical game can eat you alive if you allow it to... There are vultures out there ready to take advantage of you at the drop of a dime . So be mindful of that at all times. DO NOT TRUST EVERYONE ! I say be vulnerable because we are artists and without humility and vulnerability we are not allowing ourselves to be as creative as were supposed to be. Stand up for what you believe in ! Stay true to yourself, even if you feel you are not giving someone what they want. Because in the end this is your book and nobody else can write it for you. Check out Samantha's label official website OM Records for purchasing the new album autographed by Samantha. You can also listen to the tracks. Hurry and order it soon, LIMITED EDITION only!! HERE. "Waves of Change", the first single was remixed by Kaskade. LATEST RELEASE. From sophomore album"Subconscious" including remixes by Eric Kupper (Hed Kandi), Nacho Marco and Them Jeans. Check it out HERE. 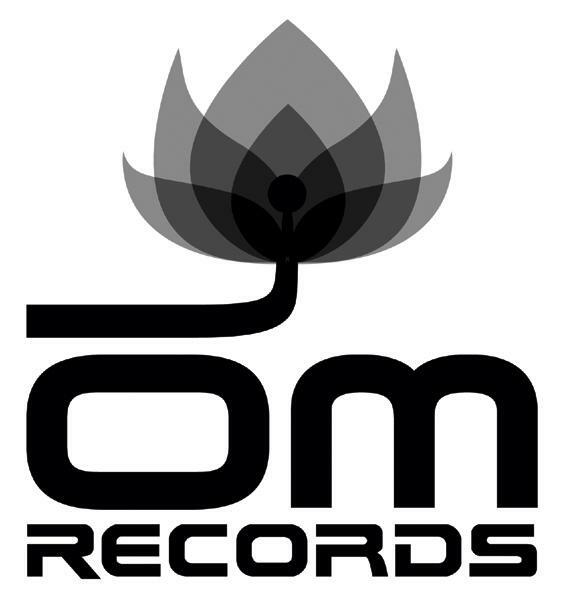 Special thanks to Samantha and OM Records for this interview. Welcome to THE MALE MODEL MUSIC PROJECT!!!! "There are no limitations to the self except those you believe in"
Samantha James new album "Subconscious" is now in the collection of the Sound Selector!! Check out the behind-the-scenes feature in the studio with Samantha James on her new album "Subconscious"